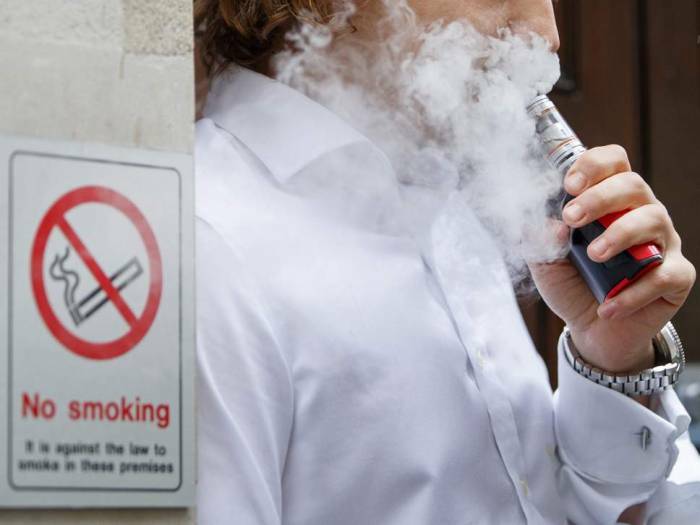 E-cigarette users could be putting themselves at risk of lung disease as a new study shows how the liquids they use hamstring the immune system’s ability to clear the lungs and prevent harmful chemical buildups, the Independent reported. A study by Birmingham University researchers found the nicotine infused liquids used in e-cigarettes become much more potent cell killers when vaporised. As the majority of research on e-cigarette safety has looked at the chemicals in fluids before they’re evaporated by heat, this could potentially have led the risks to be underestimated. The authors stress e-cigarettes still have a lower risk of lung cancer than conventional tobacco products, but say manufacturers’ safety claims may be overstated when so little is known about their long-term effects. For their research, which was conducted in laboratory tests with human cells and published in the BMJ-group journal Thorax, the team found some of the harms were equivalent to those seen with tobacco smoking. Using lung cells extracted from healthy volunteers who had never smoked they tested the effects of e-cigarette fluid, before and after it had been vaporised and with or without nicotine. The study focused on the impact on alveolar macrophages, crucial white blood cells which patrol the tiny air sacs (alveoli) of the lung and engulf and break down dust, bacteria and other particles which could cause damage. After 24 hours of exposure to the varying types of fluid, the team saw the most potent effects in liquids that had been vaporised and then condensed – mimicking the way they would build up in the lung. The number of macrophages still able to function was significantly reduced after exposure to evaporated fluids and this effect was seen in liquids with and without nicotine. These cells were less able to engulf bacteria, a process called phagocytosis, which could result in vapers experiencing repeated lung infections and potentially make them harder to treat. “Importantly, exposure of macrophages to vaporised fluid induced many of the same cellular and functional changes in alveolar macrophage function seen in cigarette smokers and patients with COPD,” the authors write. In all concentrations the vaporised and the condensed fluid was more toxic than in its un-vaped form and caused cell death and necrosis at lower concentrations. They also it caused a 50-fold increase in levels of oxidising free radicals and chemicals known to cause inflammation – another immune system response – which over long periods of time could cause chronic disease. However other academics said despite the mounting evidence that e-cigarettes could have long-term health effects, they are still better than cigarettes. “The harsh truth is that smoking kills, and smokers who switch completely to electronic cigarettes are likely substantially to reduce the likelihood of premature death and disability,” said Professor John Britton, director of the UK Centre for Tobacco and Alcohol Studies.